You are here: Home / Chapter 7 Bankruptcy / Do You Really Need A Title Loan? 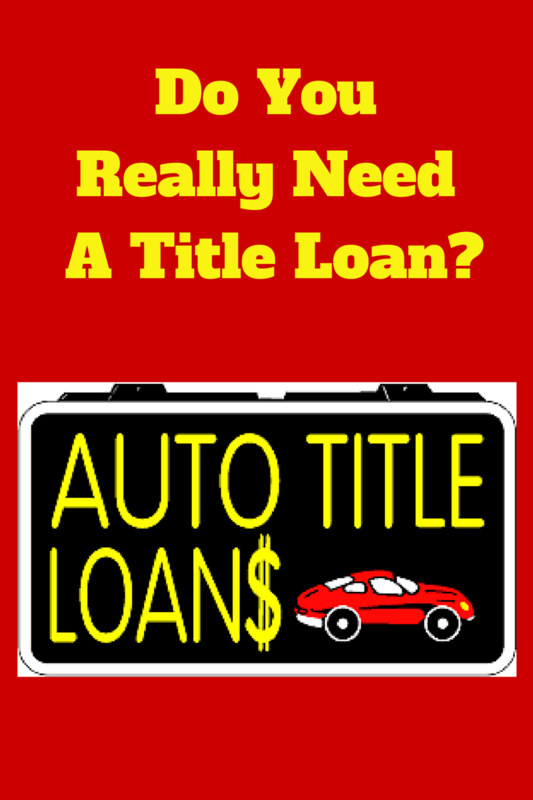 Do You Really Need A Title Loan? Have you thought about other ways that you can possibly acquire funds? Have you explored other avenues such as retirement savings, pay advances, and other ways to gather funds without incurring a huge interest charge? 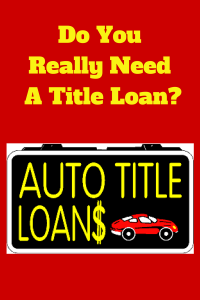 You should be aware of exactly the high interest you are paying on the title loan. You should also understand that if you don’t pay within the allotted time, you will incur high fees, high interest, and possibly repossession of your auto. In fact, obtaining a title loan can actually lead you into a bankruptcy case. If you fall behind on your title loan and your vehicle is repossessed, the only way to get the vehicle back is to either pay off the debt in full or to file a chapter 13 bankruptcy case. Filing chapter 13 will allow you to regain ownership and control of your vehicle while you agree to repay the debt over a three to five-year period. You will also have to pay an attorney fee as well as a trustee fee which is approximately 4% of every dollar that is reorganized. The amount you pay per month is based on your income and expenses as well as your assets and liabilities. You will also have a bankruptcy on your credit report for up to 10 years which may affect your ability to get decent credit at a low interest rate. For the above reasons, before you quickly obtain a title loan on your vehicle, talk with an attorney who handles debt. He or she will caution you as to the problems with title loans. They can lead to more debt, significant debt and eventual bankruptcy. Think about what you really obtaining the credit for. Is it a necessity? Is it something you really have to have right now? If not, I strongly suggest that you wait and try to make do with just what you have for the moment.